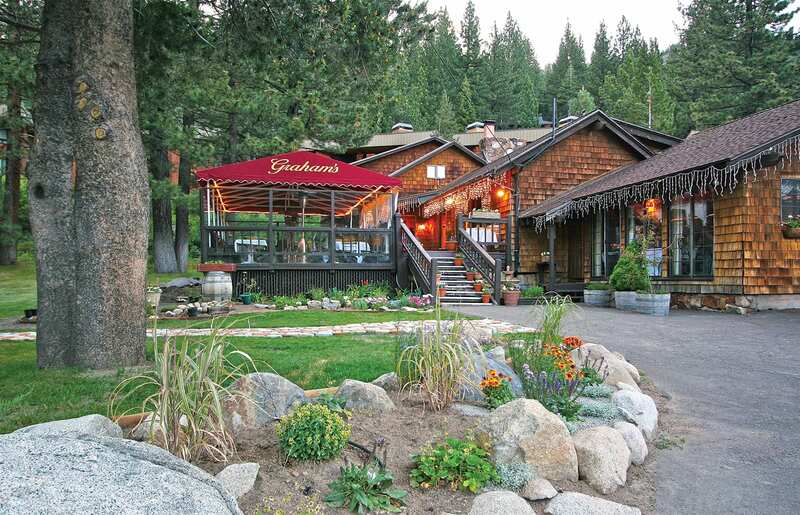 If dining at Graham’s Restaurant & Bar at Squaw Valley feels like enjoying a leisurely meal at a friend’s home, there’s good reason for the sentiment. The lodge-like restaurant, with its vaulted pine ceiling, heavy beams and pair of river rock fireplaces, was Olympic Valley’s first residence, built in 1946 for Squaw Valley founders Sandy and Wayne Poulsen, who raised their eight children here within a snowball’s throw of the resort’s Far East lift. 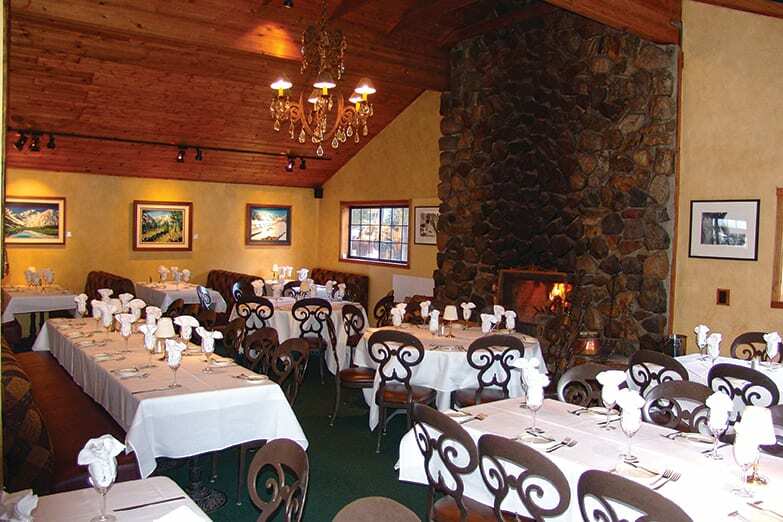 The 70-seat bi-level dining room and bar occupy former living areas; the six bedrooms have been converted into the adjoining Christy Lodge (Christy was the nickname for Christopher, the Poulsens’ eldest). Restaurant owner Graham Rock (no relation to this writer), the effusive proprietor and host of this white linen tablecloth but decidedly informal spot, personally greets and seats diners, welcoming many by name. Born and raised in Worcestershire, England, Rock left university to travel in the mid 1970s, working front-of-the-house restaurant jobs around the French Alps in winter, and picking grapes in Burgundy in summer. A self-professed nomad, Rock came to Tahoe in 1982 to ski, and like many before him stayed on, working as a waiter and manager at Wolfdale’s original location in Homewood and then in Tahoe City. He subsequently started a restaurant at Chamber’s Landing on the West Shore and ran the Backstage Bistro in the old Squaw Valley Opera House. One night when Sandy Poulsen was having dinner at Chambers, she asked the restaurateur if he would like to take a look at her Olympic Valley property, which had been sitting vacant for some time. 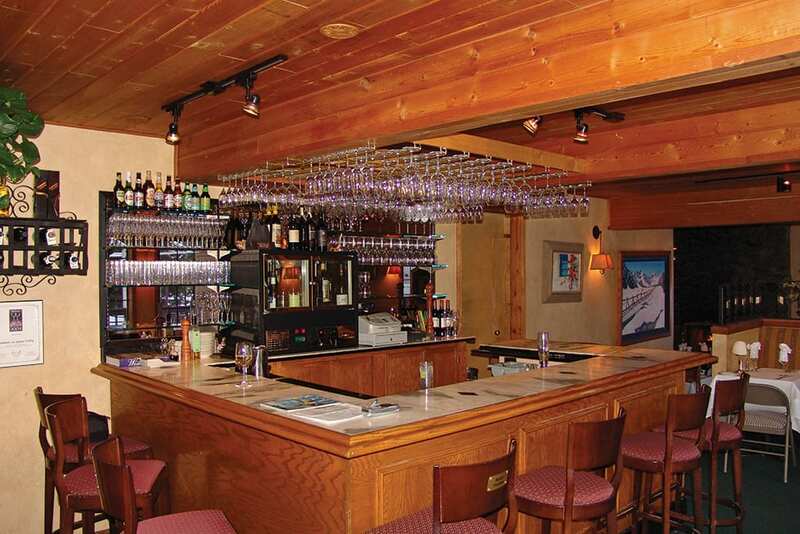 With the shake of a hand, Rock opened his eponymous eatery, which has been serving its version of California cuisine to skiers fresh off the Squaw Valley slopes since 1991. Chef Rudy Martinez, who oversees the seasonal menu, has been employed at the restaurant since it opened, working his way up in the kitchen from dishwasher. In fact, most of Graham’s staff has been there since the get-go. Likewise, some dishes here have enjoyed an equally long run. Classics include hearty offerings like a New England seafood chowder, elk chop with lingonberry sauce and grilled beef tenderloin with wild mushroom demi glaze, as well as buffalo ribeye with horseradish cream sauce, and osso bucco. The very French cassoulet is made with confit of duck leg, venison sausage, braised pork and white beans. And, of course, in winter there’s fondue. In a nod to more global flavors, look for more seasonal selections such as king crab legs marinated with olive oil, lemon, garlic, ginger, paprika and cilantro, and crab empanadas with spicy sherry cream. Or perhaps a panko and parmesan crusted sea bass with mushroom marsala sauce served over couscous. Other offerings might include Hawaiian ono with charmoula sauce, grilled quail with balsamic bacon jam and polenta and duck breast with honey lavender. Classics like tart tartine and crème brûlée lead the regular dessert options, and the sophisticated wine list of some 260 bottles from the Russian River to the Rhone Valley has been recognized by Wine Spectator magazine. For those with deep pockets and a taste for vintage Bordeaux from venerable chateaux, the cellar includes selections priced in the four-digit range. Running a restaurant is for Rock a very social experience. He can often be found with a glass of wine in hand at the bar, chatting with customers. He particularly enjoys sharing the former home’s family history and pointing out old photos hanging on the knotty pine walls. The Poulsens still own the building and brothers Eric and Russell Poulsen are regulars at the restaurant. At Rock’s request, they happily recount tales of their full-house youth. For lots of local folks, including the occasional Olympic ski racer, these well lived-in four walls within view of Squaw Valley’s peaks seem like an extension of their own Tahoe experiences and homes. TQ Food and Wine editor Susan D. Rock first met Graham Rock some two decades ago and is still trying to figure out if they are related. Dinner served Wednesday through Sunday, reservations recommended.